To Have Bamboo Plants or Not? You’re probably wondering why I am mentioning bamboo plants but it’s not for the reason you may be thinking. Depending on the design and style of your garden they may be appropriate for your site but it’s best to remember that not only do they grow very, very fast but are also invasive. Soon they will be coming up in your neighbor’s yard or even a block away or so away in someone eles’s garden. But here is a solution for those of you who adore their soft feathery appearance and also the structural interest that appeals to the eye. Plus there no maintenance involved, just an occasional “dusting”. Here is a short article about their uniqueness and beauty and how they can grace the interior of your home without you needing to have a “green thumb”. 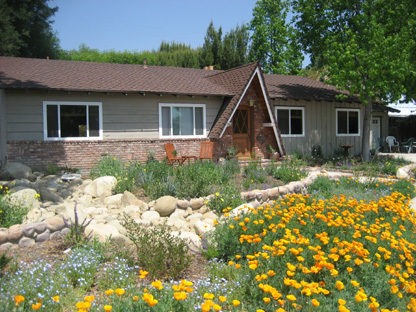 “It seems wonderful to get flattering remarks for our creative efforts to make dwelling cozier and all the rage. Being humans looking forward to well-groomed shelter is something as old as our civilization. And now we are in the age when many of us spend thousands of dollars to give a face-lift to homes. If you are hard to please when it comes to the interior ornament, then these tips will surely help you out. What if just great exterior, delightful colors in and out, posh furniture and charming lights are propped up by eye-fooling sights in-house? Puzzled? Yes, the Bamboo plants which are expected to plow in your backyard can be arranged nicely in your living room, bed room and/or study room and still you are not supposed to nourish them at all. 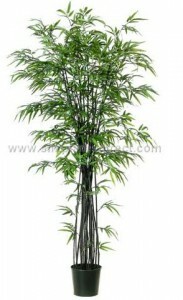 Variety of silk Bamboo plants including the ‘Bamboo Grass’ and one with thick trunks are there for you to easily select from. Tomorrow I will post the remaining portion of this informative article and meanwhile, I’m going to dust my own two large silk Palm trees I have in my home. They are quite beautiful and especially so when they are lit up in the evening.